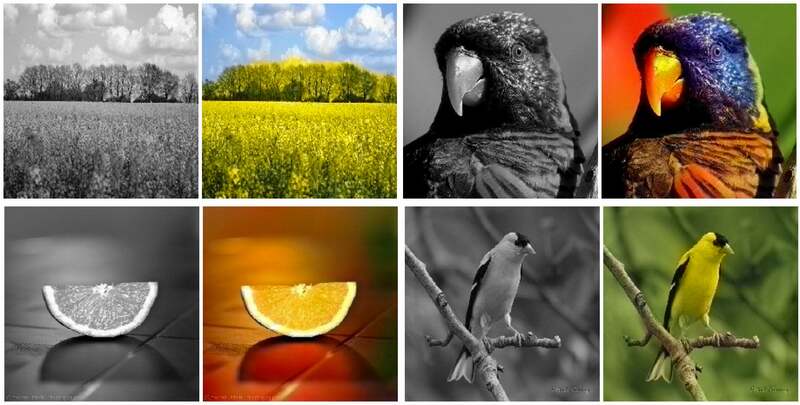 Want to inject some colour to your photographs in a hurry? 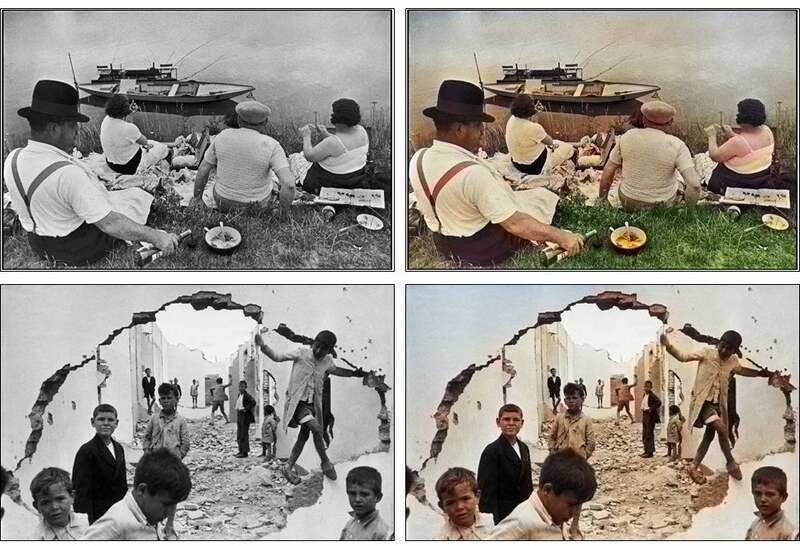 Well, new software can take an alarmingly good guess at what a colour version of your black-and-white photographs may look like. Researchers from the University of California at Berkeley have developed a new computer vision system that takes a grayscale image and then adds colour to it in a way that looks convincing to humans. That careful description is important: It doesn't necessarily choose the right colours, merely ones that look plausible. That doesn't stop it from being damn clever, though. It uses what's known as a convolutional neural network to perform its party trick, having been trained on a set of over a million colour images. 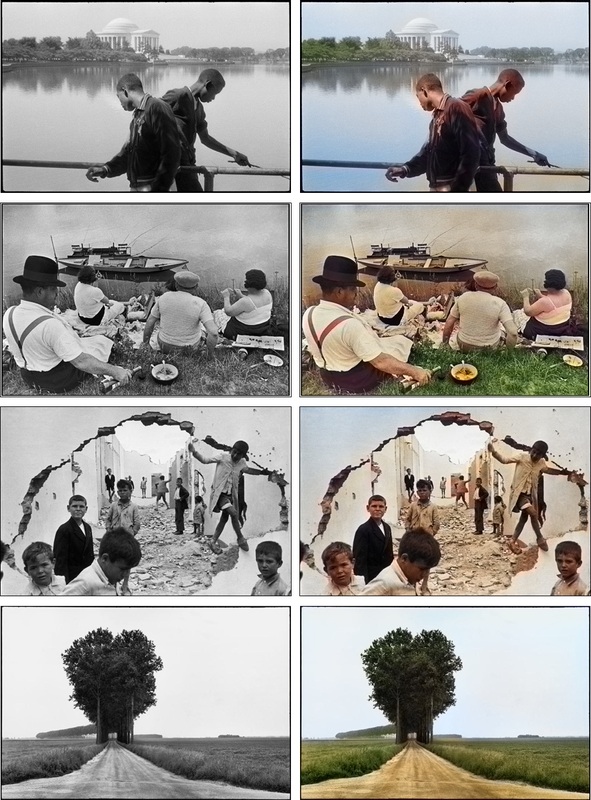 By chewing through that data set, it's learned how features in different colour pictures tend to be coloured. When it looks at a new one, it identifies those features and tries to figure out what colour they might be, based on what it's seen in the past. Clearly, it woks — but how well? 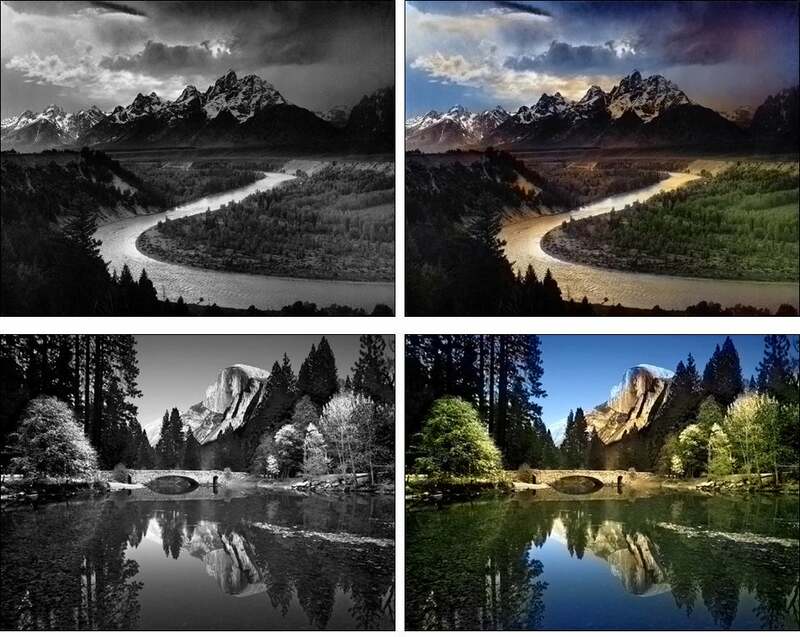 To test that, the team took colour photos, turned them into grayscale, then ran them through their software. They then showed both the original and the process images to volunteers without any labels, and asked them to work out which was which. The software managed to trick the participants 20 per cent of the time — which is apparently a much higher "fool rate" than previous studies have achieved. It doesn't work all the time, though. Here, for instance, it quite spectacularly messes up with military uniforms and bottled water. But to criticise the systems too heavily based on examples such as these would be unfair. With such wide-ranging possibilities for colour possibilities in images, the best we can hope for is that the software provide broadly convincing results — and on the whole, it seems to be headed in the right direction. You can actually try the software out yourself if you fancy. We just look forward to it being rolled into Photoshop.